If you are looking for places to for flowers, plants, and horticulture accessories in Hong Kong, the Flower Market is a great place to visit. 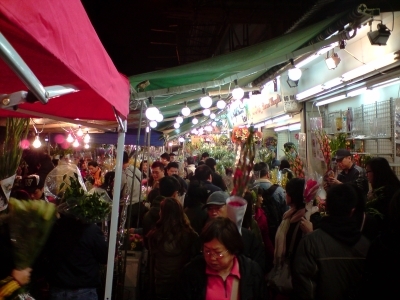 Flower Market Road (花墟道) is a street market near Prince Edward and the Mong Kok East MTR Stations in Hong Kong. Flower shops and street hawkers are showing colourful blossoms of many type of houseplants. Here, one can find hundreds of florists selling fresh flowers from all around the world. Usually, the market is open from 7am to 7.30pm.